They eat the candy bars, gummy worms, and chocolate chip cookies by candlelight, talking awkwardly about the change of weather, Bay's school projects, the news from town, stopping in midsentence and midchew to listen to a car slow in front of the house, its occupants shouting something unintelligible, before speeding down the road. "Why are they so stupid?" Bay asks. "Can't they see you're not evil?" "Not everyone thinks witches are evil," Nan says. Bay rolls her eyes and bites into a Butterfinger. "No one calls you a witch as a compliment." Mary Rickert's debut novel, The Memory Garden, is one of those novels that it is difficult to describe in a short, pithy sentence or two. It is a tale of growing old, of a strained yet enduring sisterhood, of mortality and the little redresses we do each day to assuage the fears associated with it. It is a novel that contains some nice images, particularly that associated with memory and flowers, but it is a curiously empty novel, one that feels as though the reader is close to encountering something profound, only for that feeling to slip away, like the fox and the grapes. The tale revolves around an elderly woman, Nan, who has adopted a now fourteen-year-old girl, Bay, after she was abandoned, with a caul over her newborn face, at her doorstep. Nan is a curious woman, some believe a witch, who has cultivated a wonderful garden full of all sorts of plants and trees, most of which have been planted with shoes that have been thrown into Nan's yard by passers-by. The contents of these shoe-plantings are strange enough on their own, as they seem to captivate spirits and memories of events. There is one in particular, a young woman, whose violent death seems to haunt this otherwise remarkable garden. 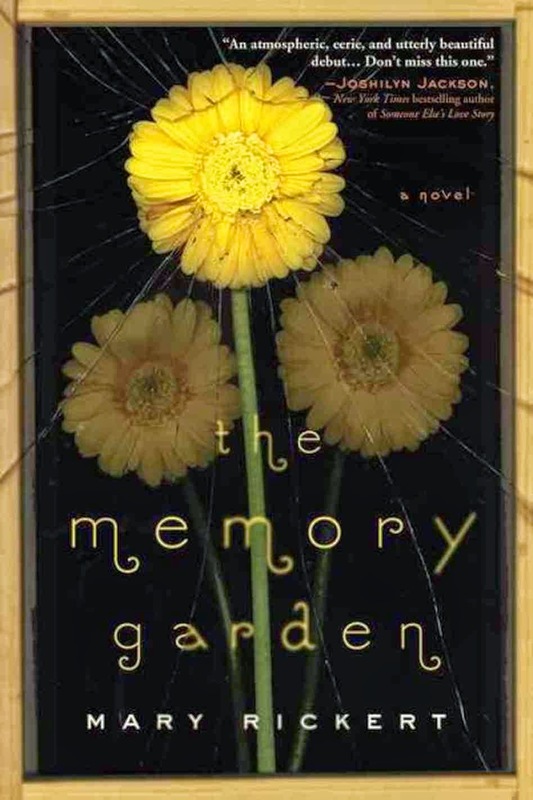 The plot of The Memory Garden, to give this meandering, slowly unfolding narrative an agent for change, is the sudden arrival of two old friends, one of whom is dying, after decades of mysterious silence and separation. As these friends begin to talk, Bay (and the readers) begin to discover things that help solve the mysteries of not just that separation, but also behind the plants and ghosts in the garden. This slowly, gradually (perhaps too gradually) ends to a conclusion that is neither shocking nor profound, just merely a continuation of sorts of the lives before, just with an explanation provided as to why Bay is living with Nan and certain powers that she herself might possess. The Memory Garden has decent enough characterization and Rickert's prose is good, but the elements do not mesh together enough to create an interesting narrative. The dialogue, while sounding like what one would expect from its characters, is at times charming, but it doesn't bear the weight of the main mystery very well. As the characters chat and chat some more, there is a noticeable decline in narrative energy until finally the entire enterprise just peters out. It is not that there is anything actively bad about any of this, but the end result is just a too quiet, too mundane story that does not do justice to its premise or its characters. Unfortunately, The Memory Garden was one of the more mediocre stories that I have read in some time. A shame, since Rickert's short fictions generally contain more life and energy than her debut novel.